Used as a stand off support on equipment cabinets to avoid covering ventilation fans. CablofilProducts.com, an online retailer of Legrand products, is a leading provider of cable management equipments. 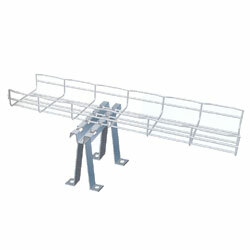 We specialize in cable management trays, support, wall and angled brackets. All orders, small or large, are welcomed with no minimum order requirements.